Here’s a movie pitch that, in the very least, is intriguing: A comedic horror thriller, starring Emma Stone and Ralph Fiennes, set on an island getaway for foodies on which ominously mysterious culinary delights are served. Well, such a project, titled The Menu, appears to be in the industry pipeline. 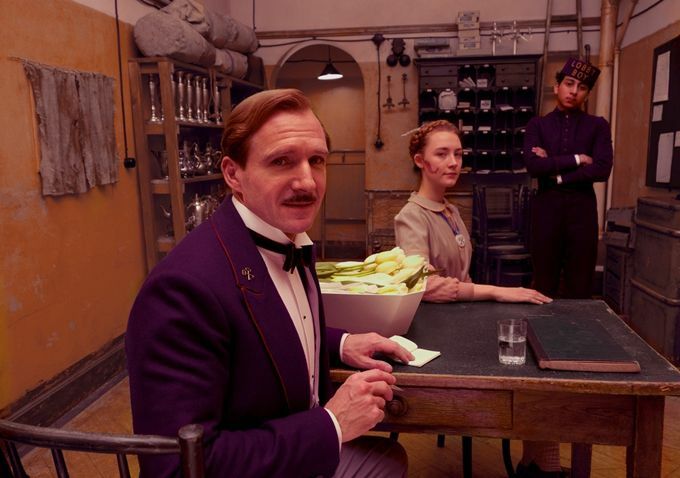 Indeed, it is being reported by Collider that Emma Stone and Ralph Fiennes are being eyed to star in The Menu. The genre project from eccentric visionary Alexander Payne resides at Gary Sanchez Productions, brandishing a script by the duo of Will Tracy (Succession) and Seth Reiss (Late Night With Seth Meyers), with the company represented by producers in founders Will Ferrell and Adam McKay, along with Betsy Koch. The premise of The Menu is being described as focusing on the world of high-end culinary culture, centered on a young couple (one half of which is Stone’s prospective character,) who travel to an island getaway with designs to dine at an exclusive, ultra-fancy restaurant run by an acclaimed chef (Fiennes’s prospective character). While the food is the kind of lavish fare that one would expect from such a place, there’s apparently “shocking surprises” about the cuisine. While the exact nature of the “shocking surprises” were not revealed, one need not guess for long before landing on an inevitable Soylent Green “It’s people!” twist. Of course, we still don’t know this for a fact, so take that notion with a healthy grain of culinary sea salt purchased from Trader Joe's. This would be an easy role for Emma Stone, who would likely be sharing the weight with a yet-to-be-cast co-star for the other half of the couple. After achieving the peak award of the industry with her 2017 Best Lead Actress Oscar win for La La Land, and a recent Best Supporting nomination for The Favourite, she’s been making some interesting moves, like fielding a Netflix TV run on Maniac, playing Bille Jean King in the biopic, Battle of the Sexes, and will return to one of her earliest career successes, reprising her role in the October-scheduled sequel, Zombieland: Double Tap. Fiennes, a two-time Oscar nominee (1994 Best Supporting for Schindler’s List, 1997 Best Lead for The English Patient,) with a prolific CV, has become a bit of a franchise player in recent years, amongst other things, currently fielding the role of James Bond’s MI6 boss, M, in the Daniel Craig-led films, appeared in the Coens’ Hail, Caesar! and, in legendary form, played big bad Voldemort in the Harry Potter films. He also recently did some work for studio Gary Sanchez, playing villain Moriarty in this past Christmas’ box-office-bombing parody comedy, Holmes & Watson. He’ll next be seen in the August-scheduled drama, Official Secrets, and then the 2020-scheduled franchise entry, Kingsman: The Great Game. For writer/director Alexander Payne, who burst into the mainstream ether with 1999 comedy Election and experienced further success with films About Schmidt, Sideways, The Descendants and Nebraska, The Menumight become a potential mulligan of a movie after his 2017 Matt Damon-headlined sci-fi concept comedy, Downsizing, proved to be a critical dud and net loss at the box office.